2 Days, 8 Climbs, 320 Floors (Seattle and Portland ALA Fight For Air Race Recaps) | Keep It Up, David! WHAT A WEEKEND. 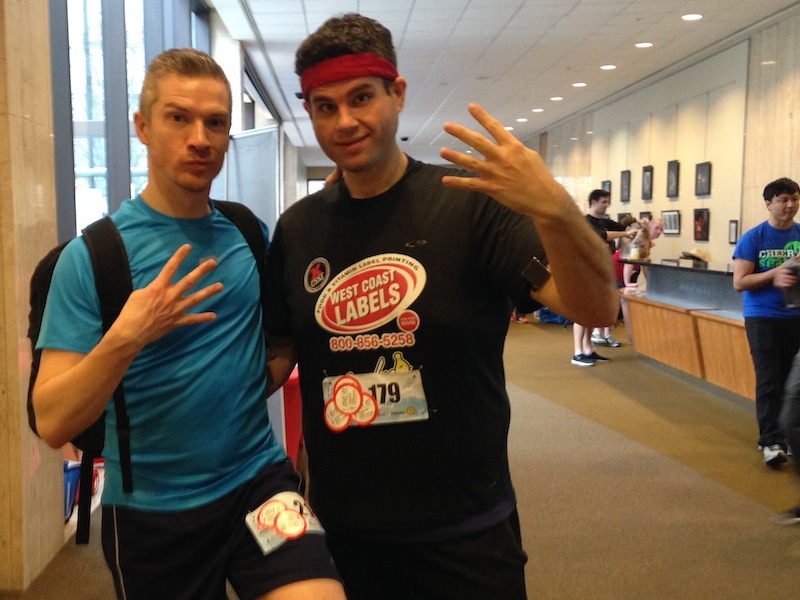 On Saturday and Sunday, I competed in back-to-back stair races for the first time. Just the thought of waking up and doing a grueling stair race, after doing an equally grueling stair race the day before, made me anxious. But it happened. And while I’m glad it’s over, I’m so glad I did it. The first race was in Seattle, and it was held in one of the most interesting buildings I’ve ever seen. It’s called the Rainier Tower (on the left), and the base is a narrow 11-story pedestal. The building looks like it’s defying the laws of physics. It’s very cool. I’m in love. My favorite vantage point is just outside the front doors. You look up to see a giant curving wall arching up and over your head, and, above that, 30 stories of windows. 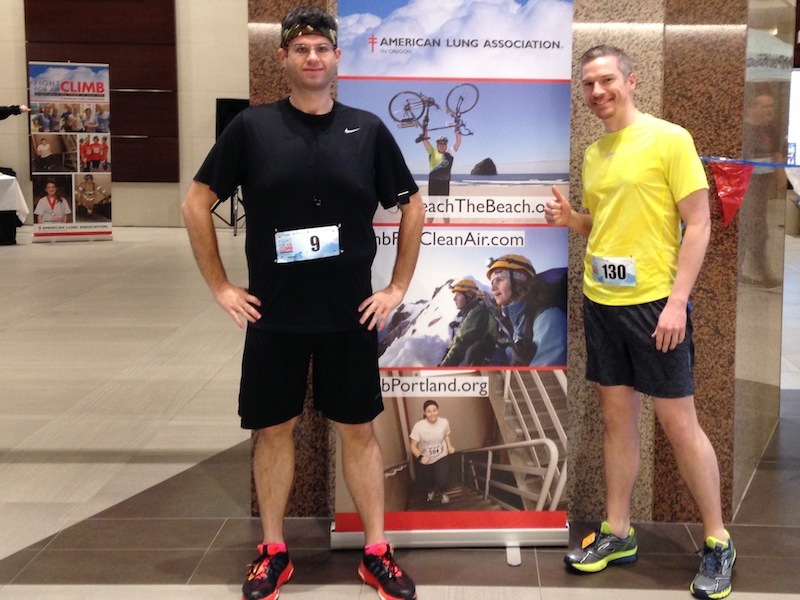 The climb in the Rainier Tower was a fundraiser for the American Lung Association, and they offer options for racers. The building is 40 stories tall, and you can race up it once, twice, three times, or four times. I’m not the sort that flies all the way to Washington and leaves unclimbed steps on the table, so I registered for four climbs. That’s 160 stories. Collin signed up for 160 too. This decision created all sorts of strategic questions. Knowing I had a race the next day (which was also 160 stories), I starting asking myself questions. Do I try to pace myself? Do I hold back at all? How much? Thankfully, stair climbing is a brutal, intense endeavor, and I take it seriously, so when I got in the stairwell, I went for it. Because I have to. I don’t have much of a middle ground. If I start slacking, I fall apart. So I pushed myself. And pushed more. 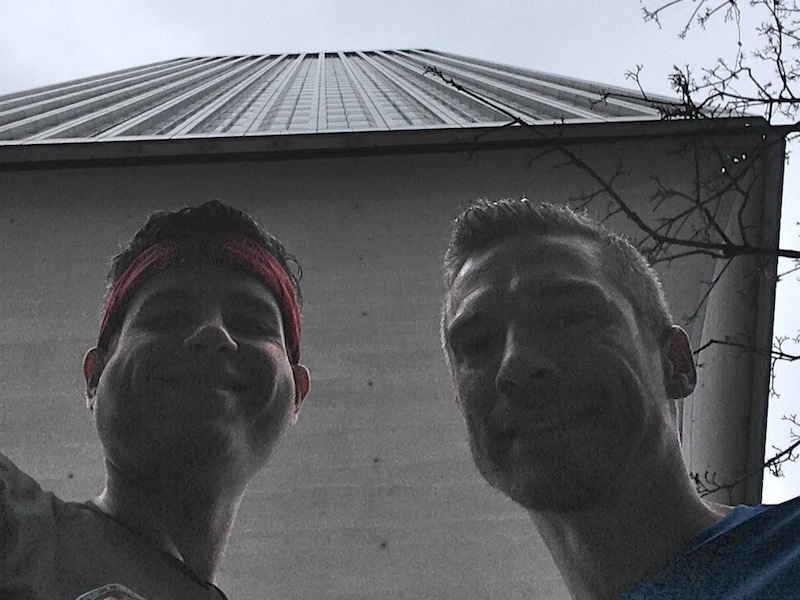 I didn’t think about the next day’s race, because I had to climb the Rainier Tower four times. RELATED CONTENT: Read More Race Recaps Here! Although I loved the building from the outside, the Rainier Tower stairwell wasn’t my favorite. 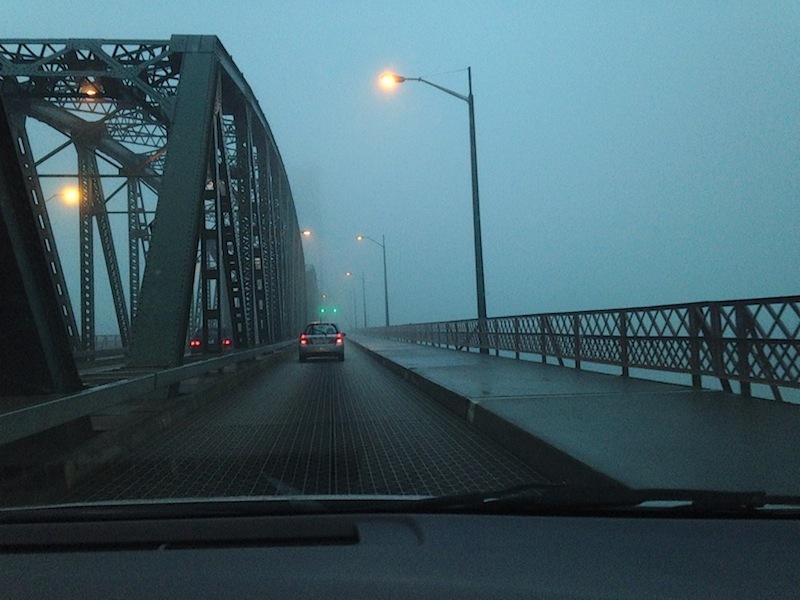 It was warm and stuffy and full of stagnant air. It also changed as you rose higher in the building. The first part, in the pedestal, was narrow, with short flights. When it got to the start of the office floors, each flight nearly doubled, to about 15 steps between landings, which is a lot for a building like this. It wasn’t until even higher, like floor 20 or so, that I could start establishing a rhythm. But I tried to be consistent, double-step (which I did, about 80% of the time), use the handrails (it was narrow enough that I could grip both the inner and outer handrail at once), and keep moving. There’s a small break built into the race between climbs, because you need to take an elevator back down, but I tried to keep the breaks as short as I could: enough time for my heart rate to recover, drink some water, and get back to the lobby. Collin and I started at different times, but we met up partway through in the lobby and climbed in tandem for my final two climbs, and it was fun having a friend of over 15 years right there. And in a race like this, you appreciate any fun you can muster, because the task is so consuming. I didn’t know my time for each climb yet, but I knew that I had done all four, including the breaks, in under an hour. That felt pretty amazing. Four times, baby! 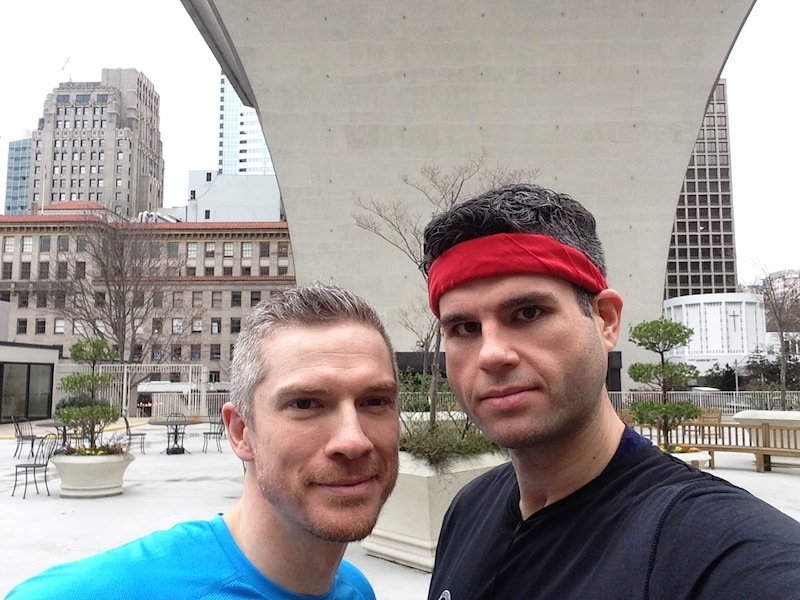 …and then went back to Collin’s place, showered, went to lunch, and then hit the road. Portland, here we come! RELATED CONTENT: Check out photos of what I ate while traveling on my Instagram and Twitter feeds. I’m @keepitupdavid on both! We couldn’t even see the top of the race venue when we arrived. 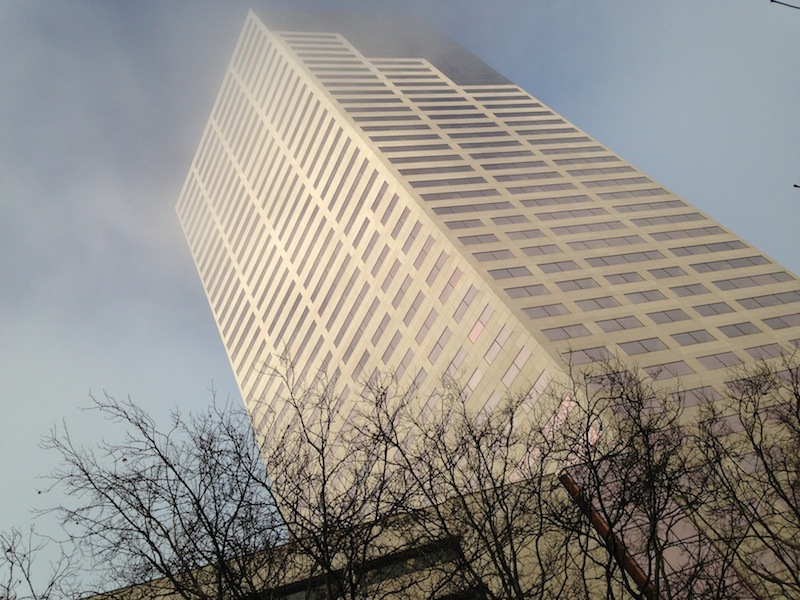 This race (also an American Lung Association fundraiser) was held at the US Bancorp Tower, and it too had multi-climb options. 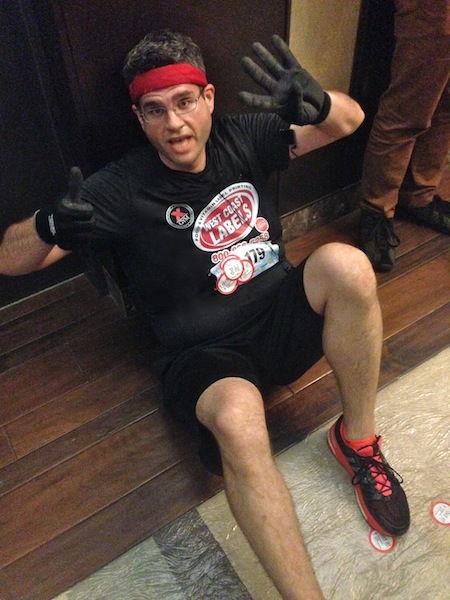 Once again, I chose to race 4 times up the 40-story stairwell, for another 160 stories. Collin chose the same thing. Going into the race, I actually felt better than I thought I would. My legs were slightly sore, but barely. I felt awake and ready to go. Even better, I had a sense of what the next hour would bring, because the memories from the day before were so fresh and vibrant. The US Bancorp Tower lobby was expansive and quite nice, and I got in a good stretch before the race started. Plus, Bowflex was a sponsor of the event, so I got to see my Bowflex friends and catch up before and afterward. Even though I felt pretty good leading up to the race, things changed quickly once I entered the stairwell for the first time. It only took about eight floors before I hit my first wall, and the walls kept coming throughout the rest of the race. It was like my legs realized what was going on and went from “we’re fine” to “we’re exhausted” in a matter of seconds. But I have 15 stair races under my belt, and leg exhaustion is nothing new. Even though I wanted to, I tried to not let it slow me down. Plus, I was in a great stairwell. It wasn’t stuffy at all, and the back of each step was open, so you could see through them, which creates a more open, bigger-looking space, and allows you to see who’s gaining on you one floor below. I applied the same strategy as the day before: Keep pushing. Double-step. Use the handrails. Keep the breaks short and sweet. I climbed in tandem with Collin for three of the four climbs, and having him on my tail was a good motivator to keep going. When the fatigue started bordering on unbearable, I would remind myself that I wasn’t a quitter, and that I’m stronger than I think I am. Boy oh boy, did it feel incredible to cross that finish line after the fourth climb. I laid down for a few minutes, until my heart no longer felt like it was going to explode out of my chest, and then took a celebratory selflie with Collin on the 41st floor. 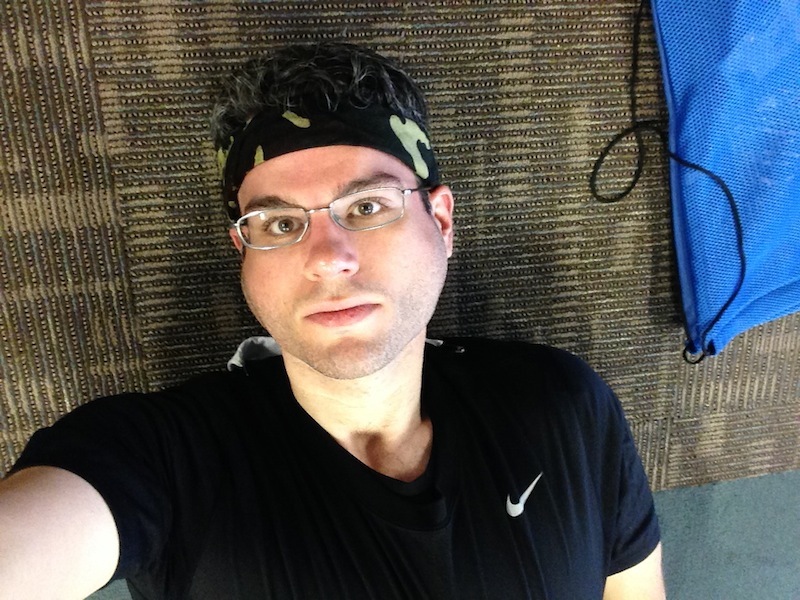 Once I got down to the lobby, I spent a good 20 minutes stretching, which felt wonderful. So did lying flat on my back, for that matter. It wasn’t until the race was over that the fog finally lifted. It was a nice change of pace to not see an entire building until after I had raced up it. I felt a swell of pride when I finally saw the top. I just climbed this building, four times! It was a great pair of races. I saw some things that were definitely motivating: a group of soldiers in Seattle who were racing with weighted vests, a guy in Portland that raced with his arm in a cast, and another guy in Portland who raced with one baby strapped to his back in a car seat, and another baby on his chest, in a Baby Bjorn. 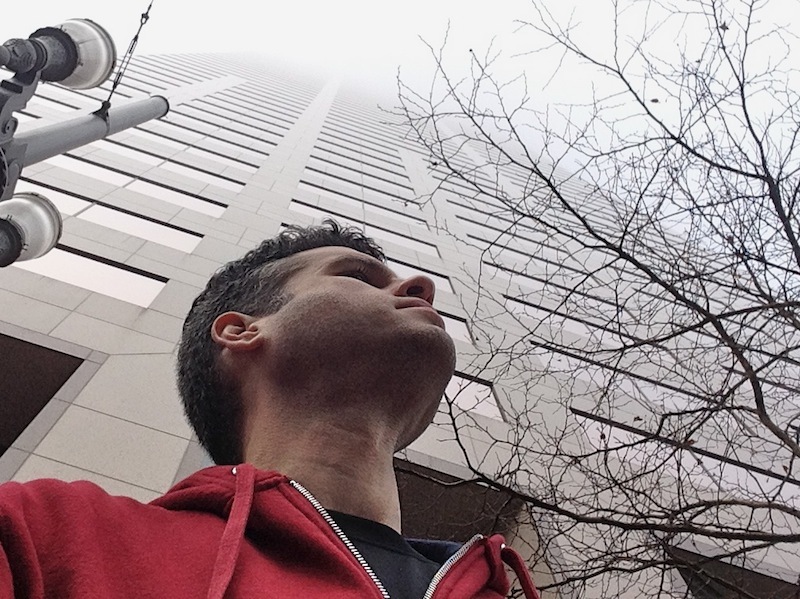 It’s a little small (click on them to see bigger versions), but here are the key points: I finished 160 stories in Seattle in 35:13, and 160 stories in Portland in 35:50. That’s 320 total stories in 71:13! In addition, my times, split by split, are remarkably consistent. My fastest climb in each city was the first one, and I finished Seattle in 7:41, only 7 seconds faster than Portland! I placed slightly better in Seattle than I did in Portland, but in both I was right in the middle of the pack. I never would’ve guessed that I would hold up so well in Portland, and I can attribute that success to great overall fitness and my last-minute training surge. Normally, I don’t really care about my bibs. Lots of athletes save them, as evidence of a job well done, but not me. Until today. I’m holding on to these bibs, at least for a little while. 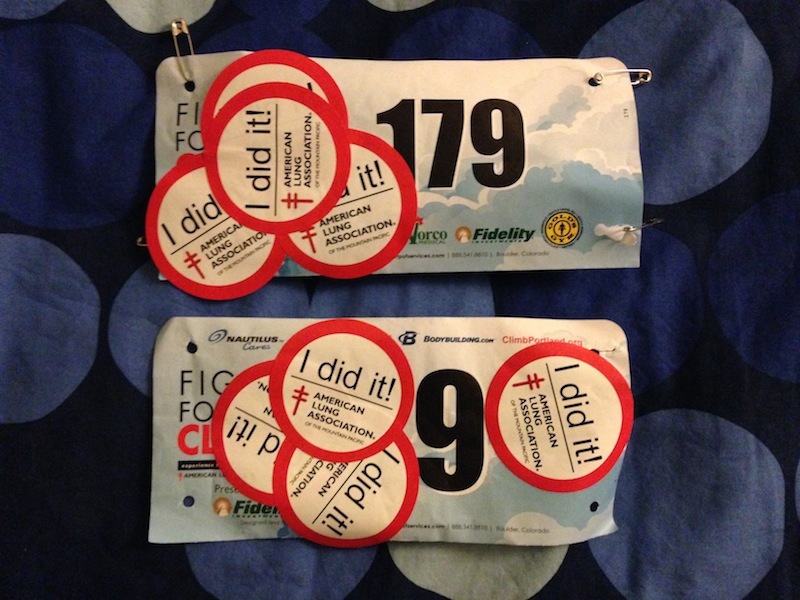 That’s because in both cities, after each climb, a volunteer would pass out an “I Did It” sticker, and because my clothes were so sweaty, the only place they’d stick was on my bib. I love seeing both bibs covered in four stickers. The message is so simple, but really, it says it all. I DID IT! I DID IT! I DID IT! I DID IT! I DID IT! I DID IT! I DID IT! I DID IT! I DID IT! PS: Big thanks go out to Sandee, Suzanne and Jeff, all of whom donated to the American Lung Association so that I could participate in these races. Your support means so much to me! Follow me on Facebook, Instagram, Twitter, and Google+. There’s also a “Sign Me Up” box at the top of the right-hand column on this page where you can subscribe to receive new posts via email! This entry was posted on Tuesday, January 27th, 2015 at 2:03 am and is filed under Uncategorized. You can follow any responses to this entry through the RSS 2.0 feed. You can leave a response, or trackback from your own site. Congratulations! 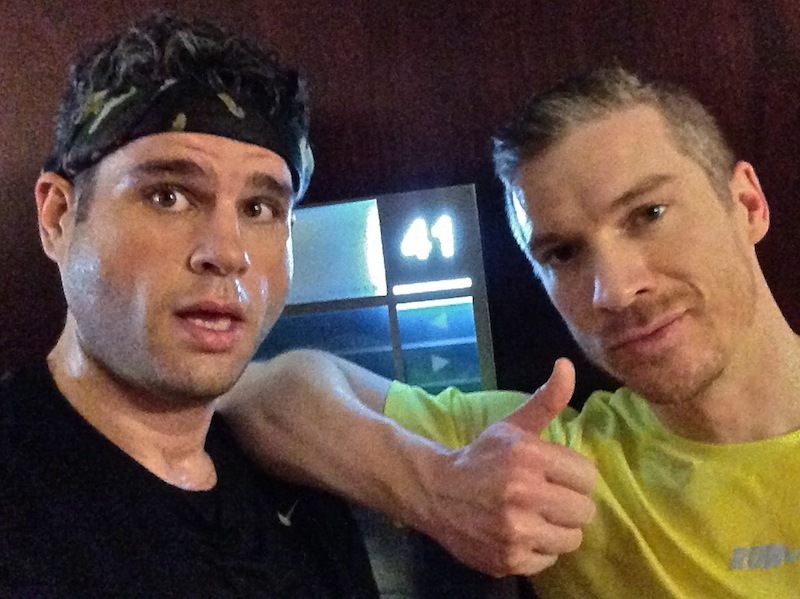 320 floors in 71:13! Amazing! I feel the same way! Thanks! Fantastic accomplishment, David. Well done!!! Your worst time of 9:37 was fantastic! Not sure how to describe your best time of 7:41! 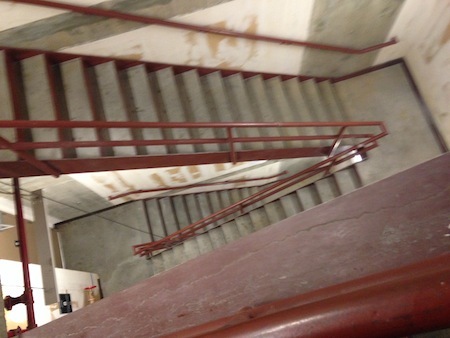 For stairwells you’ve never climbed before, that’s totally impressive & inspiring! Wow! Way to go! Excellent performance! Great way to start this year’s races! Thanks, George – appreciate it!